Brilliantly modern and effortlessly cool. 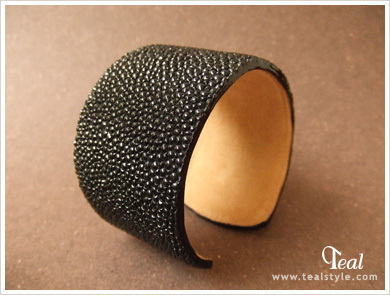 Black stingray leather cuff with suede lining. Stingray leather has a characteristic pebble-like texture.